CERN is the European Nuclear Research Organization and is considered the largest and most respected experiment in particle physics. It is located in Geneva and hosts scientists, engineers and students of 113 nationalities. 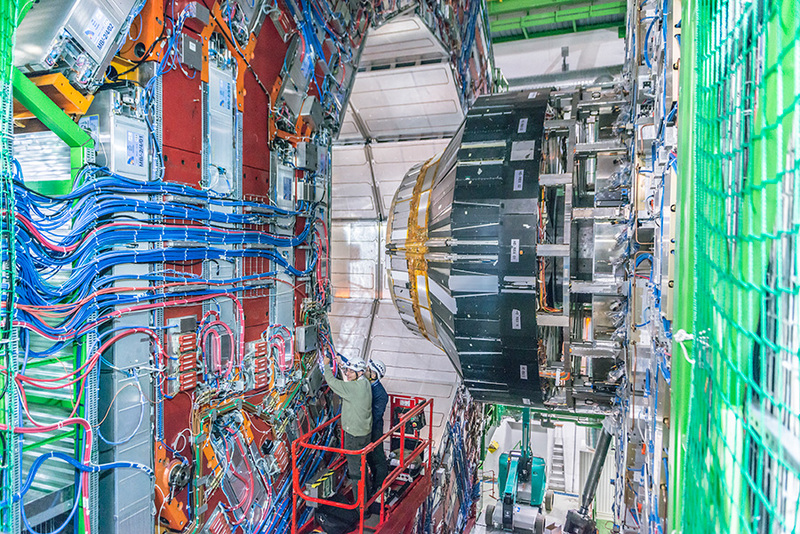 It is already counting several significant successes in the field of science, more importantly the development of the World Wide Web and most recently, in 2012, the discovery of the Higgs boson. From 2012 until 2014, I had the opportunity to be an official photographer of CERN and during the upgrade of the Large Hadron Collider (LHC), I had the opportunity to cover the activities on the 33-kilometer tunnel as well as the detectors. The purpose of my photographs are not only to present the impressive size of the experiment but also the importance of its goal: to investigate the fundamental structure of the universe.